Called “A truly revolutionary video game,” by The New Yorker. 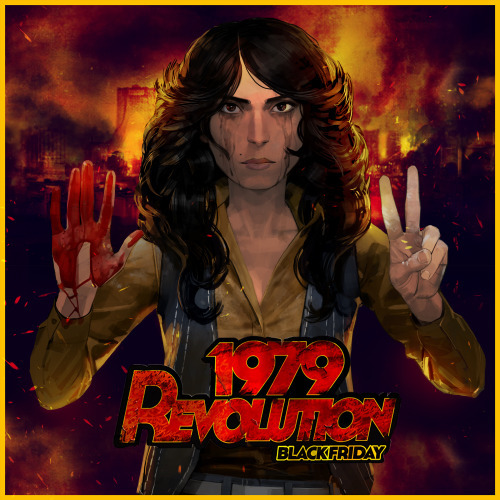 BuzzFeed says, “You’re Going to Love This.” 1979 REVOLUTION: BLACK FRIDAYhas already been featured in both videogame and mainstream press including NPR, BBC, Washington Post, and Time Magazine. 1979 REVOLUTION was created by GRAND THEFT AUTO veteran Navid Khonsari and his NYC studio iNK Stories, committed to telling impact forward, edgy stories in games. Made with the support of the Sundance Institute and Doris Duke Foundation for Islamic Art Grant and IFP/Made in NY. The cast includes Navid Negahban (HOMELAND, AMERICAN SNIPER), Farshad Farahat (Argo, 300: Rise of an Empire, State of Affairs), Omid Abtahi (Hunger Games, Better Call Saul, Argo), Bobby Naderi (Fear the Walking Dead, Taqwacores), Mozhan Marno (House of Cards, A Girl Walks Home Alone At Night, The Blacklist), Nicholas Guilak (Of Gods and KingS, 24), Mary Apick (Homeland, Beneath The Veil), Fariborz David Diaan (The Brink, Stoning of Soraya, Weeds).